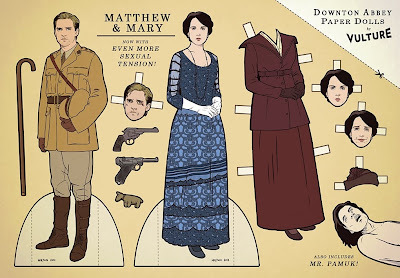 Have you seen these Downton Abbey paper dolls? New York magazine's Vulture blog has posted a set of printable paper dolls by the illustrator Kyle Hilton. Downton overload, you say? Maybe, but we just might need something fun to keep us occupied for the next eleven months while we wait for Season 3. Click here to print out Matthew and Mary. 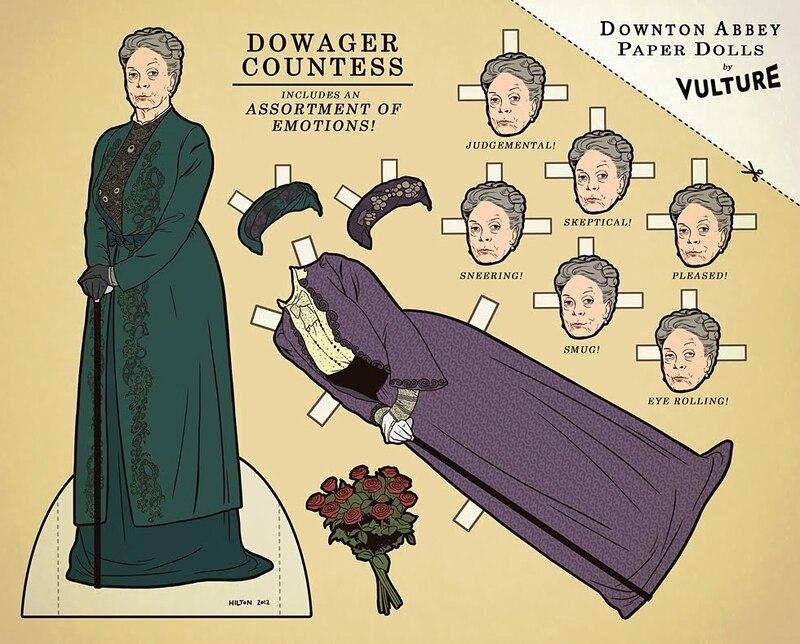 Click here to print out the Dowager Countess. 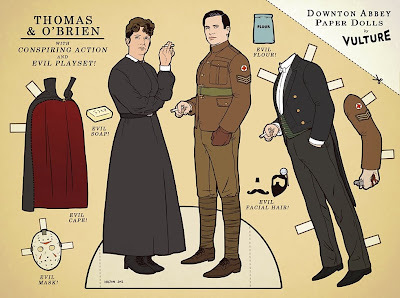 Click here to print out Thomas and O'Brien. 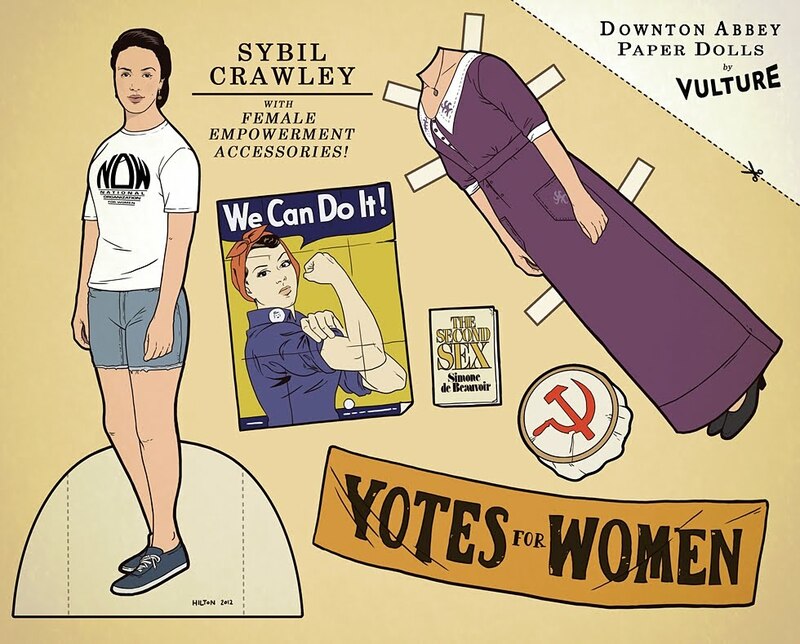 Click here to print out Sybil.